Rounding out and supporting BERC's technical consultants are the administrative and intern staff. The administrative side of the team brings a wealth of experience and the interns, though usually shy on experience, bring lots of enthusiasm and energy to pursuing the goals and tasks at hand. As Division Director of BERC, Mr. Whitten utilizes his 27 years of diverse public and private sector development experience to evaluate and simplify permitting processes and development of programs to assist business and the public in complying with local, State and Federal environmental regulations. Mr. Whitten manages the BERC budget and is responsible for facilitating collaborative relationships with the BERC Steering Committee and future funding partners. Mr. Whitten is responsible for the redevelopment of Mather into a vibrant mix use community. At Mather, Mr. Whitten completed the complicated transfer of several thousand acres of property from the Air Force that required agreement with the US Corps of Engineers, US Fish & Wildlife, US EPA, DTSC, State Water Board and others and is currently overseeing the Master Planning and entitlement of over 1,200 acres that will ultimately result in 2 Million Sq/Ft of industrial, commercial, retail space and over 3,500 homes at build out. In addition, he has been instrumental in the creation of the proposed 1,200 acre Mather Environmental Preserve. 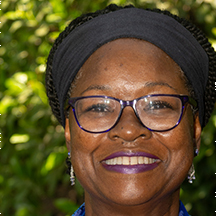 As BERC Supervisor, Ms. Livingston brings more than 25 years of experience in environmental regulatory oversight as a California Registered Environmental Health Specialist (REHS). Livingston previously worked as the Communications and Media Officer, Hazardous Materials and Environmental Health Specialist for the County of Sacramento Environmental Management Department (EMD) for 15+ years. She also conducted regulatory facility inspection in Contra Costa and Los Angeles Counties. Environmental regulatory program expertise includes restaurant/food facility inspection/permitting, hazardous materials/wastes, waste water, stormwater, solid, liquid and medical waste. In 2009, Ms. Livingston earned a County of Sacramento “Gold Star of Excellence Award” for the Gasoline Station Upgrade project to provide multi-agency compliance assistance / outreach to help businesses understand /comply with complex new regulations as well as avoid penalties for non-compliance -this award is the highest County of Sacramento honor that may be earned by an employee. Ms. Livingston has worked on numerous projects in partnership businesses, regulatory agencies, industry associations and the media to find solutions to compliance issues in an equitable manner. This is the mission of BERC and why she came to the organization in July 2006. With more than 20 years’ experience in the environmental regulatory arena, Mr. Balazs is able to offer BERC clients a holistic approach to their compliance needs. With both extensive private sector and public sector experience that has given Mr. Balazs the opportunity to visit hundreds of facilities and implement/evaluate hundreds of programs, Mr. Balazs is able to draw upon this experience for creative and functional solutions to clients’ environmental and regulatory needs. Mr. Balazs has expertise in the areas of hazardous materials storage, hazardous waste treatment, wastewater management, storm water runoff compliance, air quality regulations, CEQA, NEPA, contamination remediation systems, and asbestos remediation. This varied and expansive background has proven to be instrumental in assisting BERC clients. Mr. Balazs holds a Bachelor Degree from California State University, Sacramento and has taught certification courses in the areas of HAZWOPER, Hazardous Waste Management, DOT Hazardous Materials Packing and Transportation, OSHA (Confined Space Entry, Toxicology, Personal Protective Equipment, Respirator Use and Fit Testing, Hazard Communication) Field Sampling and Decontamination Requirements/Procedures. Mr. Brown has been working in the environmental field since 2005. Mr. Brown held a position with Geocon Consultants, Inc. in Rancho Cordova as a Senior Staff Scientist for four years . At Geocon he performed soil, soil gas, groundwater, and air pollution assessments as well as Phase I and Phase II Environmental Site Assessments. He also prepared quarterly groundwater and other technical reports for various properties throughout northern California. Currently at BERC, Mr. Brown provides businesses with general environmental permitting and regulatory compliance assistance in the areas of air quality, hazardous materials/waste, stormwater, waste water, and other pollution prevention efforts on behalf of local partner agencies and utilities. Mr. Brown also helps coordinate the Sacramento Area Sustainable Business Program to recognize businesses for voluntarily adopting environmentally-friendly practices. He provides education and performs outreach through workshops for businesses and communities regarding environmental compliance and sustainability. He earned a Bachelor’s degree in Environmental Studies with a minor in Geology from California State University, Sacramento. Mr. Stremsterfer is currently an Senior Environmental Consultant. Chase helps businesses navigate through environmental regulations that affect businesses of all sizes in the areas of air quality, hazardous materials/waste, stormwater, waste water, zoning code, business licensing, and other areas. Consulting is free and confidential on behalf of local partner agencies and utilities. He also coordinates the Sustainable Business (SB) program which certifies businesses that go above and beyond normal environmental compliance. Chase walks qualified businesses through the SB checklist required for certification, conducts site visits, and promotes certified Sustainable Businesses through newsletters and social media. He received a firm foundation in environmental science through environmental science courses and general education from the University of California Santa Barbara. His education continued at California State University, Sacramento with a major in Environmental Studies with a declared a minor in Economics which gave him specialized education in Environmental Economics. Melissa is the Program Coordinator for the Sustainable Business (SB) program which certifies businesses that go above and beyond normal environmental compliance. Melissa walks qualified businesses through the SB checklist required for certification, conducts site visits, and promotes certified Sustainable Businesses through newsletters and social media.